The recent acquisition of Lorillard, the third largest cigarette manufacturer in the United States, of Scottish based SKYCIG is set to double its manpower in six months. The takeover was seen by market analysts as an indication of electronic cigarette’s growing popularity, especially among Hollywood A-listers Kate Moss, Britney Spears, and Johnny Depp. 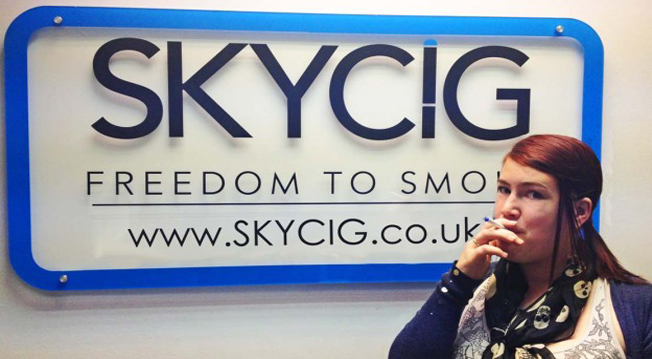 The £60 million deal between SKYCIG and Lorillard is expected to expand its products to the mushrooming e-cigarette market in Europe. The move is set to lend a helping hand to the company which currently employs 35 workers for its customer services and digital facility team in the main office in Edinburgh. SKYCIG was founded in 2011 and became the second e-cig brand bought by Lorillard, after it took over US-based Blue ECigs in 2012. Despite the buyout, SKYCIG is treated as an independent brand under Lorillard. Popular flavours include Crown Cherry, Crown Menthol, Cinnamon and Classic Tobacco. Graham Birse, of Edinburg Napier University’s business school agrees that the UK-based company is following the trend. He regards electronic cigarette as a tolerable means of getting nicotine hits and eventually quitting the habit. He also predicts that with the recent boom e-cigs have enjoyed in the past two years, smokers who want to quit are growing and the potential of the industry might just be immense.